Stunning turquoise beaches, spectacular destinations and exciting activities are not the only reasons for tourists to keep coming back to Hawaii. This state is not merely another one attractive spot in the sun. 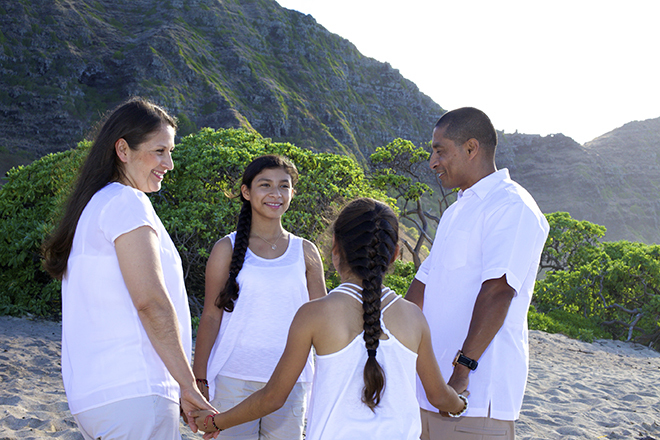 There is an unquestionable characteristic deeply ingrained in Hawaii’s culture and traditions such as the ready smiles given to guests as well as the natural extension of common courtesy. It is widely referred to as the incomparable aloha spirit and guests would only be able to find it here. are just some of its unique qualities. But then, tourists should know that leis are not just an ornamental cluster of flowers. 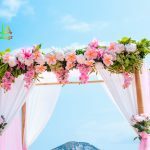 These are also among the greatest means of saying hello, farewell, thank you, congratulations, or even I love you as a wedding lei given by the bride and groom. The tradition of presenting leis could be pinpointed down to the actual roots of the islands. Based from the locals’ customary chants, the very first lei was made out of Lehua blossoms and this was presented by Hiiaka to her sister Pele, which is the Hawaiian volcano goddess, on a beach located in Puna. 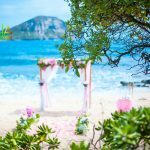 The bride gives the traditional Maile lei to her new husband on the beach in Hawaii at her wedding , The Lei is entwined with white fragrant tuberose flowers . the leis given to the high-ranking officers called alii were complemented with a respectful bow because it was not allowed for commoners to lift their arms even higher than the head of their king. It was not until World War II that the leis were presented together with a kiss. This custom was frequently credited to a Hawaiian entertainer who was dared to kiss an officer and after kissing him, she proceeded to give him a lei, explaining that what she did was an ancient Hawaiian tradition. Of course, that was not true then, but it sure is nowadays. The process of making lei is a true Hawaiian art form. All leis are tenderly prepared by hand in an assortment of native patterns. 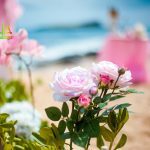 There are some leis that are stitched with numerous delicate shells or blooms as well as small pieces of leaves or ferns. There are several leis that are coiled, some are actually braided and there are also those that are strung. 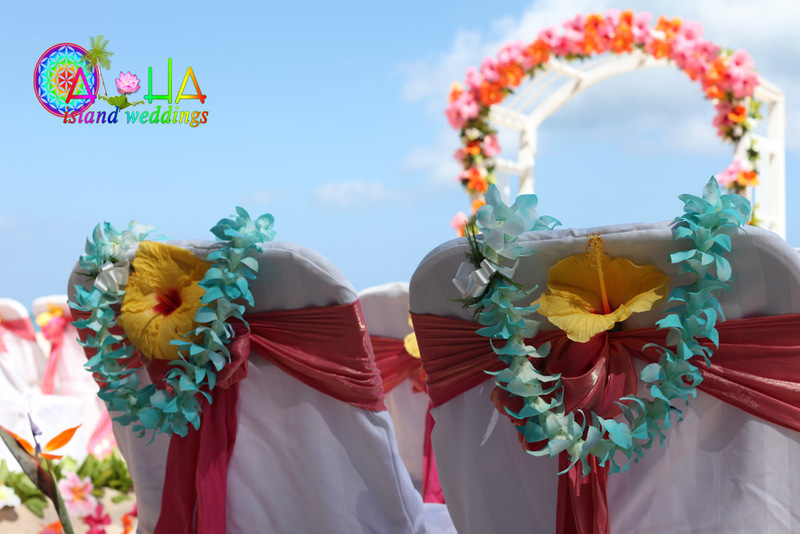 The common denominator of these leis is that all of them are given to guests with love. Each Hawaiian Island possesses its personal special flower for their leis, or what they call the lei of their island. For Oahu, their preference is a tiny orange flower named Ilima. Those from the Big Island favor a huge, fragile red puff called Lehua. Maui’s choice is a little rose named Lokelani. The selection of Kauai is the Mokihana and it is a sweet-scented green vine as well as berry. On the island of Molokai, their favorite is the Kukui, which is the Candlenut Tree’s white blossom. For Lanai, they love the Kaunaoa and it is a vivid yellow moss. The natives of Niihau utilize their island’s various seashells in order to create leis that used to be treasured by the Hawaiian royalty . its is found on every island plus is in many family home gardens in Hawaii. I would like as close to coral color in the lei as possible, and Arri would like the maile lei. 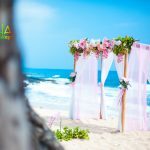 Wonderful choices for flower leis , yes the Maile leis is the traditional one that bride gives the the groom to wear during the ceremony in Hawaii. 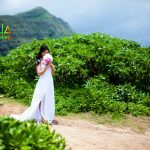 For your color coral , we will have the florist paint a the white orchid flowers coral the petals easily absorb the special floral flower paint , we will have them use a coral color because its rare to have that color flower lei in Hawaii . That looks great! It will go with our aqua blue, light tan, white (and a little bit of coral splashes) theme. 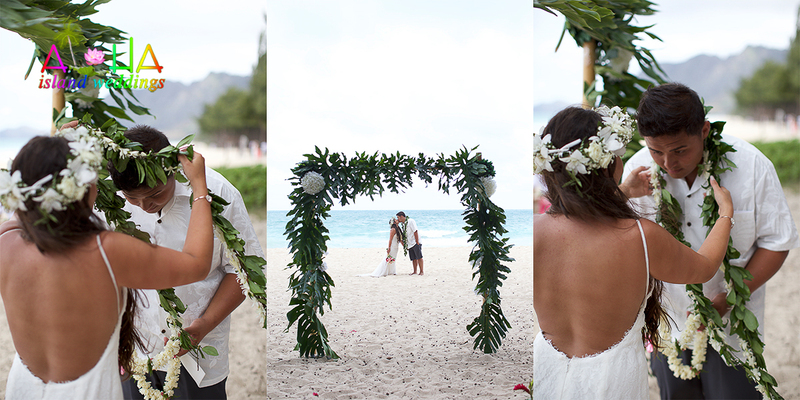 As discussed in a previous email, Travis would like a maile lei, and i would also like a white flower lei with greenery. Also, I see a bride above with a white and green haku, where should i get one of those? Perfect thank you Megan , yes not too big not too small but just right in the middle size .